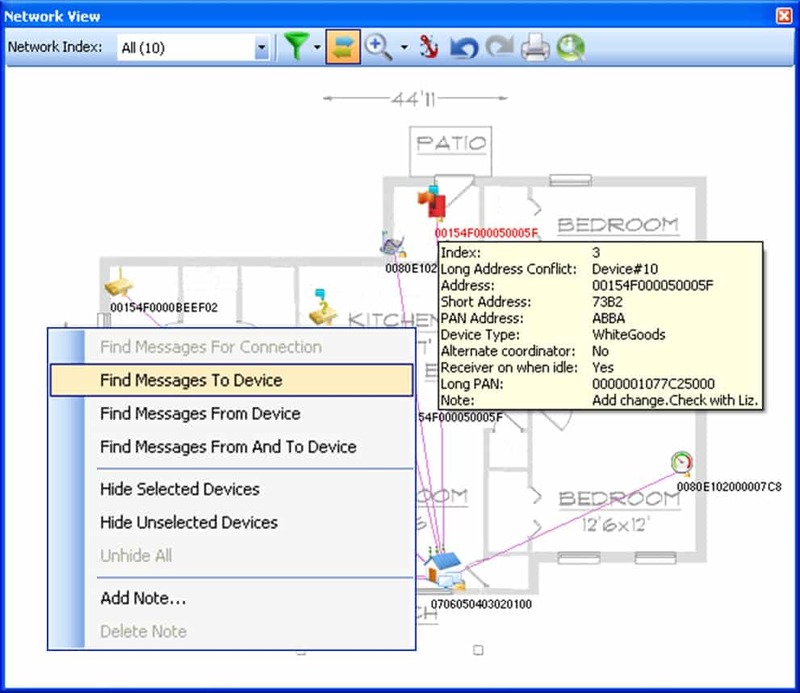 Especially designed to create a way to connect and control products in the home, Thread was built to be power-efficient,open protocol that carries IPv6 natively, to run over standard 802.15.4 radios and designed to support a wide variety of products for the home: appliances, access control, climate control, energy management, lighting, safety, and security (Nest, a founding member of the Thread Group, was later acquired by Google). Leveraging its market leadership and long track record in providing Protocol Analyzers for 802.15.4 networks, we present the Perytons Thread Protocol Analyzers product line. 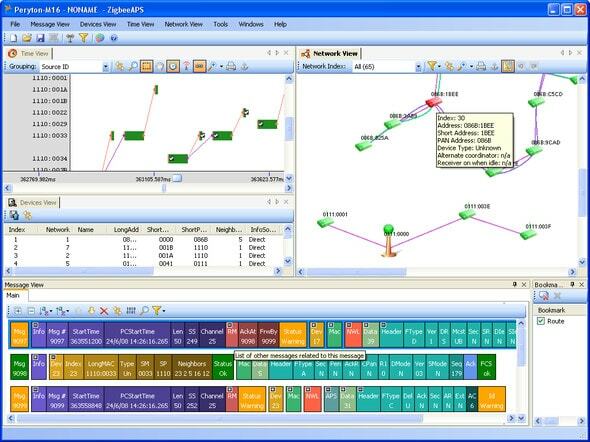 This indispensable sniffing and analysis tool aims to assist companies and individuals in their development, integration, installation, monitoring, and troubleshooting processes of their Thread protocol based devices, modules and networks. The Perytons Thread Protocol Analyzers are critical for all stages of a product’s development cycle, help to achieve quick and robust results and contribute to a smooth network operation. 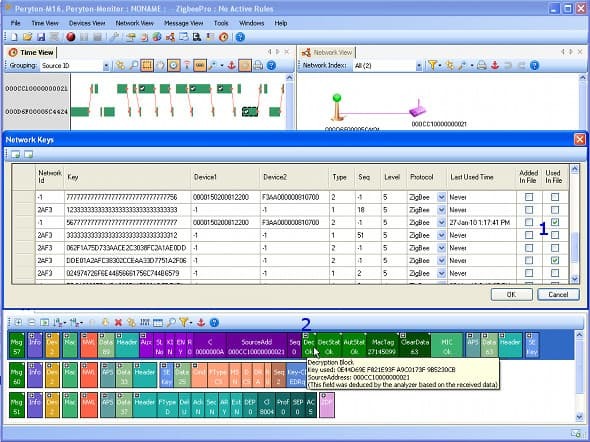 Our products permit customization for proprietary protocols and layers, with easy to learn, intuitive, user interface and are the tool of choice for developers, Quality Assurance engineers, technical support and system integrators. 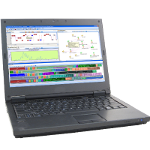 Designed for Desktop or Laptop PCs, the Perytons Thread Protocol Analyzers basic models are distinguished by their sniffing capabilities (e.g. single channel or single channel with diversity vs. multichannel) and the frequency band covered (2.4GHz or Sub 1 GHz). 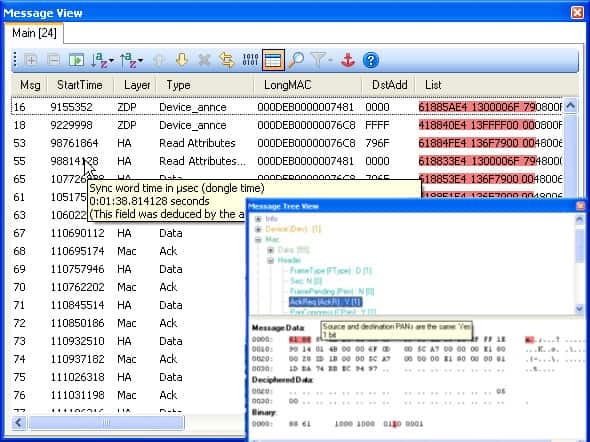 Our Thread Protocol Analyzers support standard front-ends (we include the needed hardware as part of our sold products to allow immediate out-of-the-box use – USB dongle(s)s/modules and USB HUB when relevant). The Perytons Thread Protocol Analyzers are based on a single sophisticated core software structure built of different views and options. This approach addresses different personnel analysis needs usually required throughout the R&D cycle and allows easy upgrade from basic to more sophisticated models and add-ons as the need for such arise. As a member of the Thread Group, we closely and quickly follow-up on changes and new features introduced from time to time in order to provide our partners and customers with the latest and greatest analysis solution available in the market. The Perytons Thread Protocol Analyzers for single channel capture include the Peryton-S and the Peryton-D (both for 802.15.4 2.4GHz based networks). 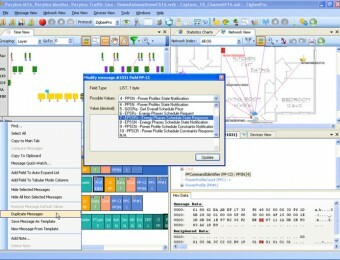 While Peryton-S uses a single front-end that can be tuned to any of the 16 existing channels (the single channel selected can be changed by the user even during real-time capture and without interrupting it), the Peryton-D model is supplied with two front-ends that are set to capture the same channel and are used in a receive-diversity mode. The diversity option allows high fidelity capture of messages while overcoming potential RF interferences that can be typically seen in 2.4GHz indoor environments (and can be very useful when handling Home Automation applications). You can read a relevant whitepaper about expected improvements when using diversity to capture messages here. For customers working in a Sub 1 GHz environment, we propose the Peryton-SG model which are available for standard 802.15.4 Sub-1-GHz based networks – 780MHz, 868Mhz and 900MHz depending on the geographical territory and the local licensing allowance. The different models of the Perytons Thread Protocol Analyzers support standard front-ends (we include the needed hardware as part of our sold products to allow immediate out-of-the-box use – USB dongle(s)s/modules and USB HUB when relevant). The modular nature of our models allows to easily start by using a single-channel analyzer and upgrade the license to a multi-channel analyzer one or add required Add-Ons to the license as relevant needs are encountered. 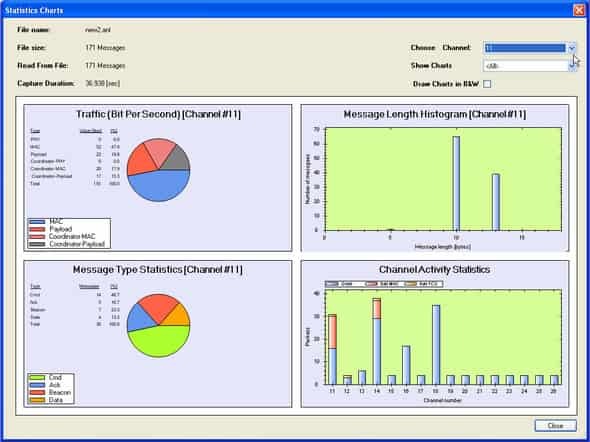 When dealing with multiple channels network environments, the Peryton-M Protocol Analyzer models enable a clear and detailed analysis of messages through the different analyzer views and sections. Peryton-M4 (delivered with 4 front-ends and an appropriate USB HUB to connect them) – allows capturing up to 4 different channels simultaneously (this model can also be set to capture up to two different channels each using two receivers and running in diversity mode or to capture 3 channels while the fourth front-end is used for time-synchronization between the other front-end and thus results in a high time accuracy of the received messages even when capturing long time periods). Peryton-M7 (delivered with 7 front-ends and an appropriate USB HUB to connect them) – allows capturing up to 7 different channels simultaneously (this model can also be set to capture up to three different channels each using two receivers and running in diversity mode or to capture 6 channels while the seventh front-end is used for time-synchronization between the other front-end and thus results in a high time accuracy of the received messages even when capturing long time periods). Peryton-M16 (delivered with 17 front-ends and an appropriate USB HUB to connect them) – allows capturing up to 8 different channels simultaneously (this model can also be set to capture two different channels each using two receivers and running in diversity mode or to capture all the 16 channels while dongle number 17th. is used for time-synchronization between the other front-end and thus results in a high time accuracy of the received messages even when capturing long time periods). For cases when there is no need to capture data for analysis (e.g. 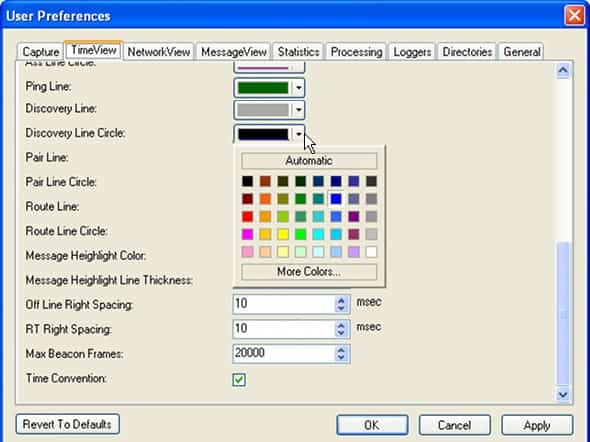 for viewing and analyzing data that has been captured by models with single or multi-channel capture capability), the Peryton-V (View-only with NO capture capabilities, ‘back-office” Protocol Analyzer model) can be used. 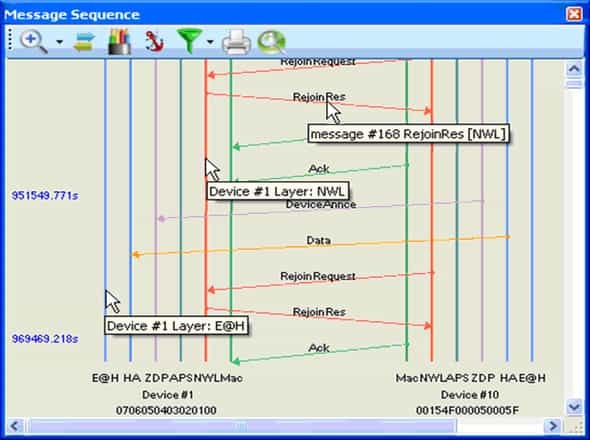 The Perytons Protocol Analyzers Add-Ons introduce additional dimensions of flexibility that assist in implementing special features and possibilities within the Perytons Thread Protocol Analyzers environment. There are four available Add-Ons: Peryton-Anywhere, Peryton-Scripting, Peryton-TG (Traffic Generator) and Peryton-SDK. 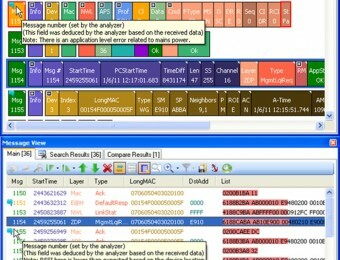 The Peryton-Anywhere Add-On allows remotely monitoring and analyzing 802.15.4 based networks. All that is needed is to place a Peryton-Gateway (provided when purchasing in the Peryton-Anywhere Add-On) on site, with the relevant capturing front-end. The Peryton-Gateway connects to the Internet cloud through the available broadband infrastructure at the network site (e.g. Ethernet, WiFi) or by using a dedicated 3G cellular link (thus independent from the site’s communication facilities). With Peryton-Scripting Add-On the user can embed short pieces of C-Sharp (C#) code (we call those “User Defined Scripts” or just “Scripts”) into the Perytons Protocol Analyzer environment and enhance the overall analysis experience. 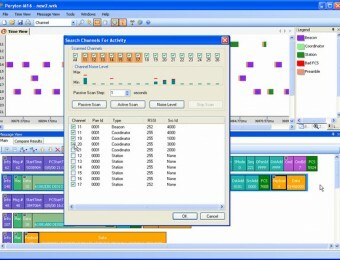 Defined Scripts can apply operations on the received messages just before they get populated to the different application views based on specific criteria or scenarios like: generate events and alarms, define new statistics charts, present specific messages in Time and Message View windows differently, initiate over the air traffic (if also the Peryton-TG is enabled), save captured data to a MySQL format data base (parallel to the saved data to disk) and much more. 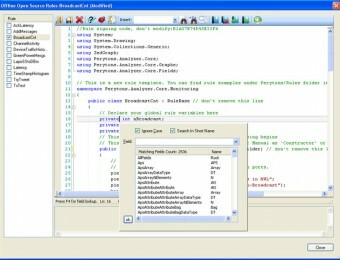 No external development environment is required in order to write, execute or debug Scripts and the resulting Script code can be shared and run by other Perytons Thread Protocol Analyzer license owners. The Peryton-TG Add-On enhances the Perytons Thread Protocol Analyzer basic licenses by adding the ability to create, edit (including re-encryption of relevant messages with selected encryption keys) and transmit pre-defined traffic over the air. 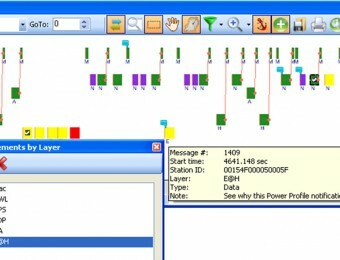 This innovative tool enables using the Perytons Thread Protocol Analyzer to stimulate the system-under-test by transmitting messages and in parallel capture the resulting traffic while analyzing the system-under-test response and is very useful for Protocol Vulnerability Assessments and Protocol Penetrations tests (see example movie). When handling networks where a customized protocol or protocol-layer is involved but yet seeking to have a sophisticated analysis tool, the Peryton-SDK Add-On could be the right choice. 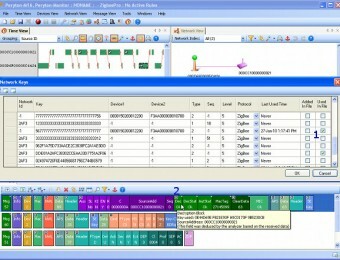 This Add-On allows adding a non-standard/customized protocol and/or application layers and integrate them into the Perytons Thread Protocol Analyzer application. 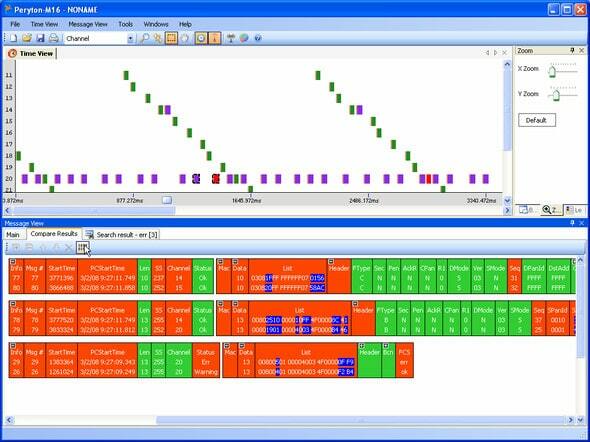 The new added layers gain all the Perytons Thread Protocol Analyzer features and capabilities including user-interface, enhanced features, views and toolbox, and become part of his overall Perytons Thread Protocol Analyzer working environment. 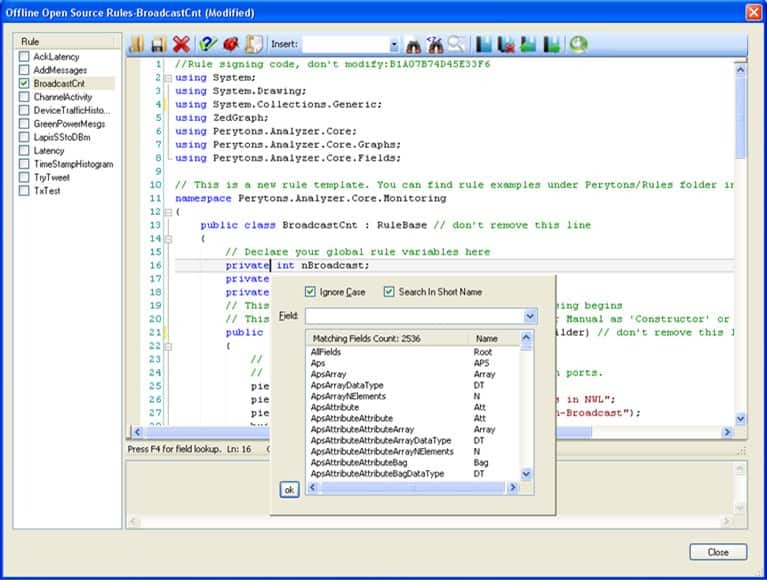 The Peryton-SDK Add-On includes a C-Sharp (C#) development environment for Microsoft Visual Studio along with the Perytons Thread Protocol Analyzer core libraries (the actual Microsoft Visual Studio application/license is not included). The different Perytons Protocol Analyzer products are built on top of the same powerful engine that includes a vast variety of views to cover Thread protocol analysis from the big picture to the very last bit. 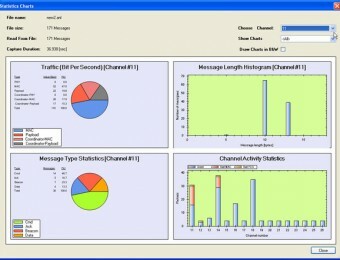 Provides a unique view of the transmitted messages with full and clear representation of time-related processes. 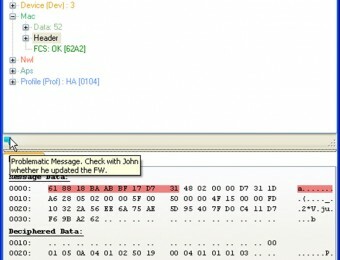 Messages can be grouped by device ID, network (PAN) ID, IP Address, channel or protocol-layer. 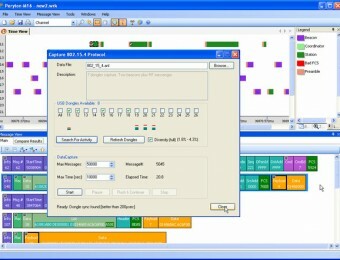 Time markers can be easily set allowing time related measurements and calculations. 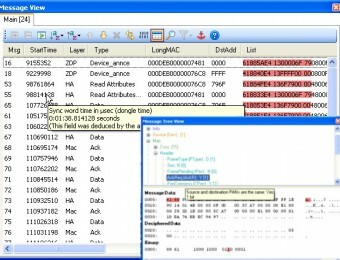 User time-related bookmarks as well as messages’ notes can can be inserted and shared with other users for shortening debugging processes. 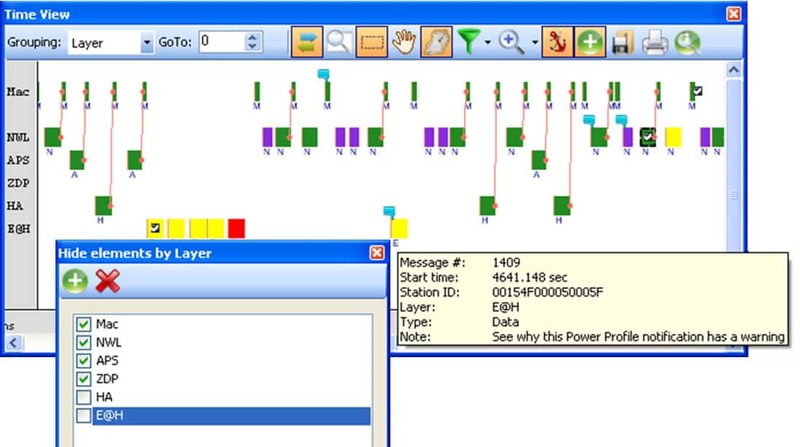 Allows drilling into the details of the message fields down to their bits. Field content can be shown numerically and textually and further detailed information is displayed by moving the mouse over each field. 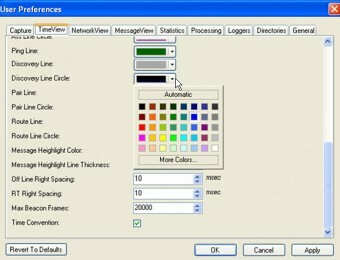 Both graphical modes and textual-tabular modes are included. 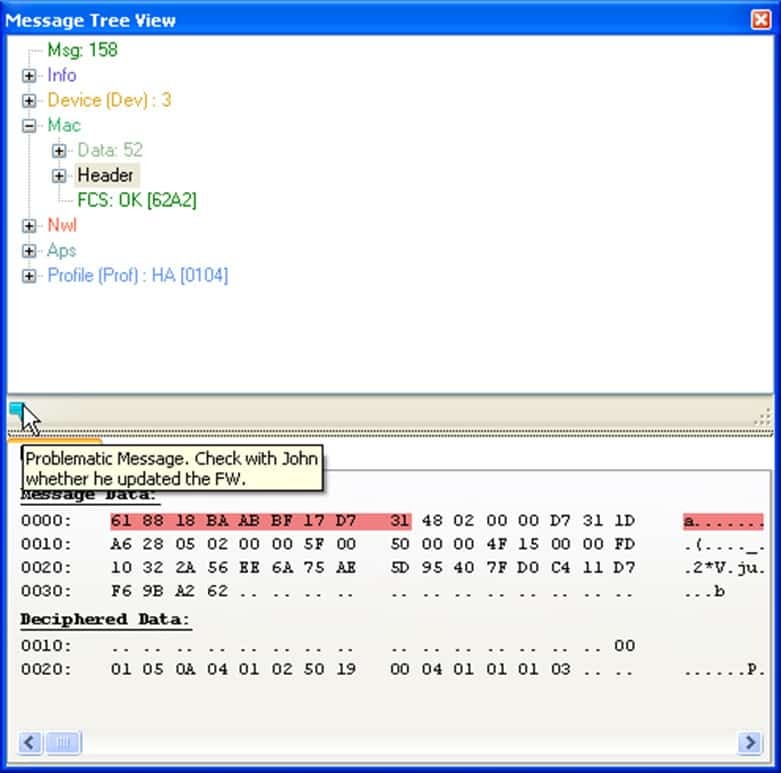 Presents the different message blocks and layers in an easy to read color coded ‘tree-like’ (similar to XML) structure and allows looking into the data actually being transmitted over the air (in the relevant hexadecimal, ASCII or binary formats). Auto discovers the network topology based on the received messages. Each device is presented according to its type and all known and gathered information about it. 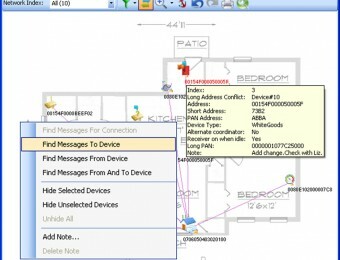 Links between devices and routes are clearly displayed and the devices can be placed over a user-defined map or floor plan so to facilitate analysis of future capture sessions in the same network environment. 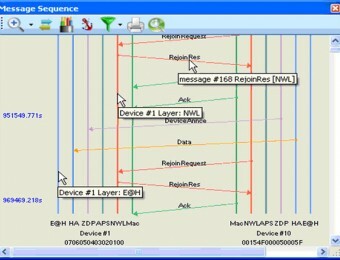 Shows the interaction between multiple devices in a single screen (using a ‘Sequence’ or ‘Message Sequence’ diagram) while easily indicating the protocol layer, message direction, message type, etc. Specific transactions are identified and can be grouped. 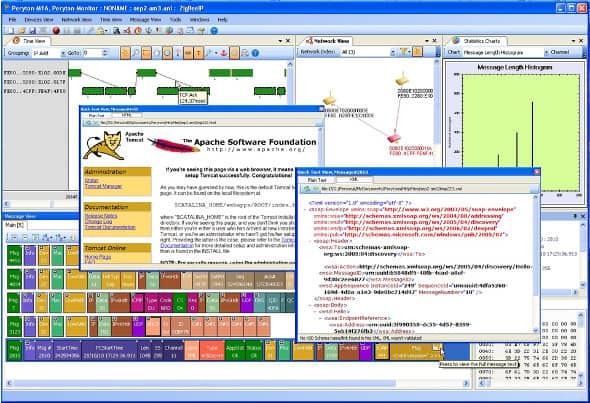 The additional tools include statistics charts, flexible data search and filtering options, message compare utilities, temporary hiding element from views, encrypted data handling and more. 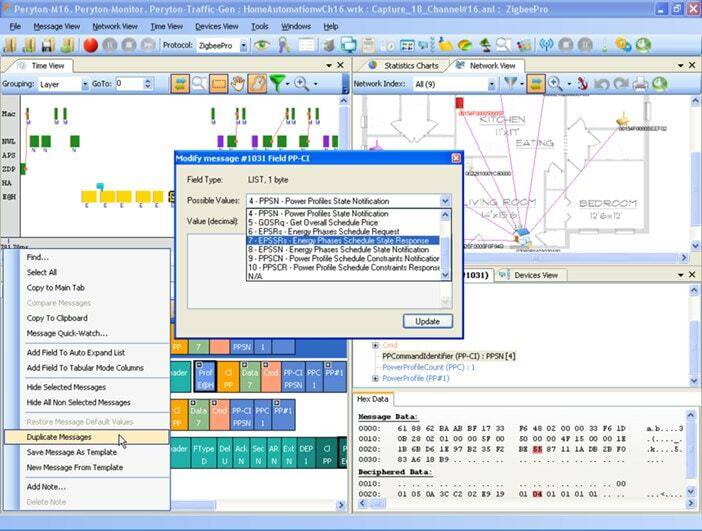 The Perytons Protocol Analyzer includes dedicated sophisticated features for analyzing IP protocols (e.g. 6LoWPAN). These includes the ability to reconstruct HTML components of the actual HTML page (style sheet, images, etc. ), building XML data into a tree-like structure and verifying its validity according to the relevant schema files, tracing participating message in TCP transactions and much more. Read more about the special features for handling IP based protocols in this whitepaper. The Perytons on-line file converter allows converting other analyzers files to the Perytons capture file format. This allows users with no suitable capture hardware, to get a first hand impression of the Perytons features and capabilities for better evaluation of the product. After submitting the file you will be asked to download the converted file, with extension .ANL to your computer. This file can be opened with the Perytons™ Protocol Analyzers. Note that for large files the conversion process may take up to a few minutes.